At this Brookdale Research Field, MBFI is researching the effect of phosphorus fertilization on forage stands. This page provides information about this particular research project; including the background, objectives, and updates. 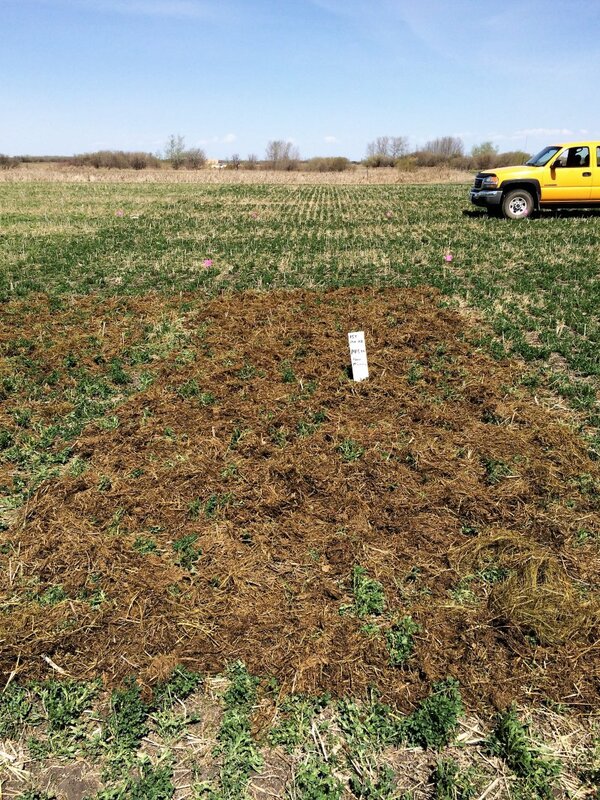 In Manitoba Phosphurus is the main limiting factor in alfalfa production. Optimal phosphorus application rates will improve alfalfa profitability, limit phosphorus loss to the environment and waterways, reduce the number of acres devoted to forage production and produce a higher quality protein feedstuff which can be used to balance feed rations in effort to limit methane production in ruminants. Similar past projects have indicated that there is a return on investement at all application rates, although there is a balance between cost and benefit returned. To provide a visual demonstration of the effect of different levels of phosphorus fertilization on forage yields. To provide a cost-benefit analysis to determine the optimum fertility level to achieve the best economic returns. 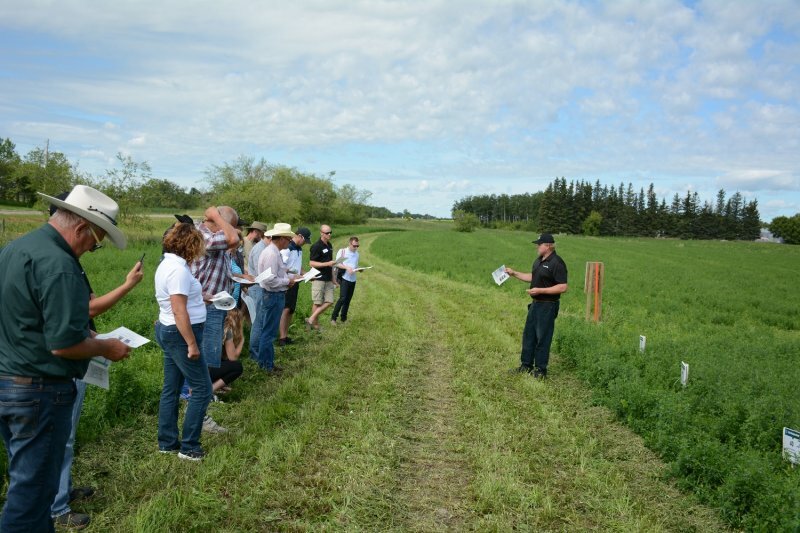 As of March 2017- Alfalfa phosphorus ramp project was initiated in 2016 with the intent to find out the most economic level of fertilization of phosphorus. In the first year we harvested alfalfa from the plots on three cuts, and recieved a very good yield. 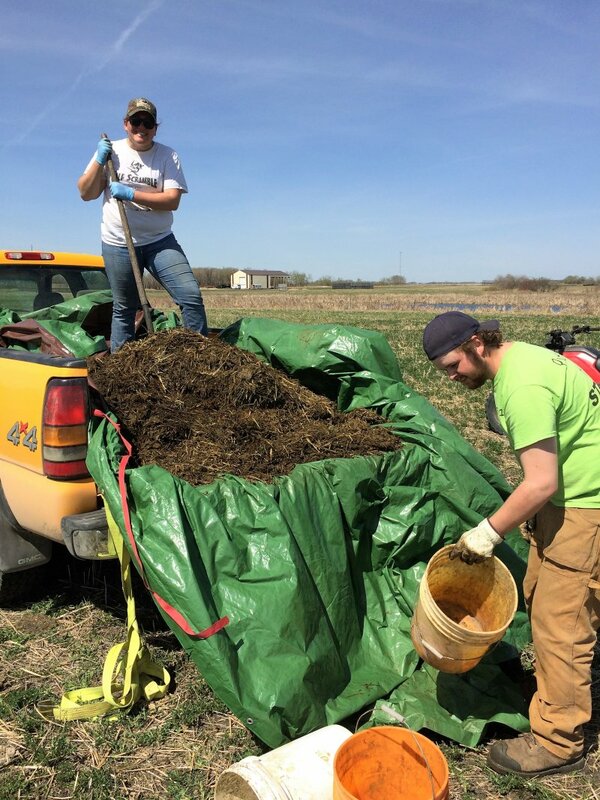 There was a precieveable difference between the unfertilized and and well fertilized plots, for example the 0 fertility yielded about 7500 lbs per acre, but the well fertilized plots yeilded nearly 9000 lbs of hay per acre. Visually there were differences too, the well fertilized plots had a more robust, darker green color, stems appeared thicker and more succulent. 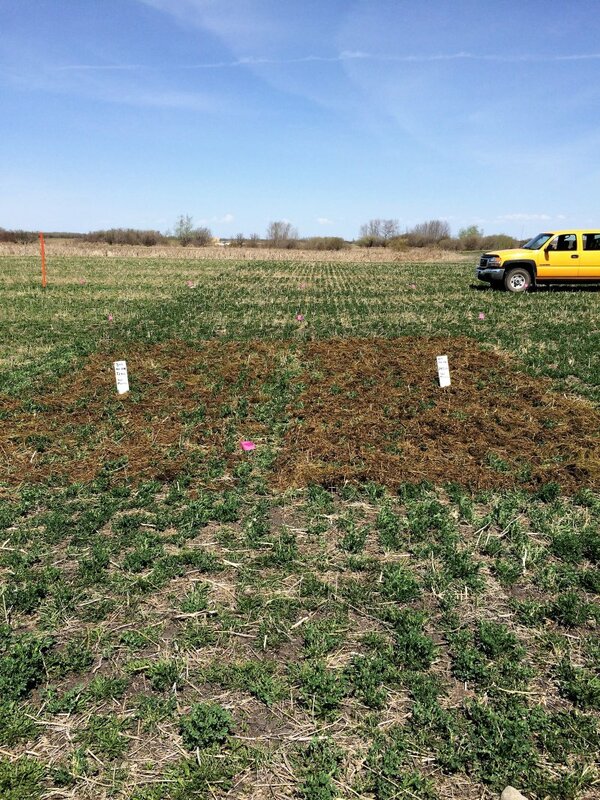 Laboroatory testing indicated that the well fertilized plots had forage dietary phosphorus levels much higher than the unfertilized. This is significant, as phosphorus is a vital livestock nutrient that has a lot of bearing on animal health and reproduction. 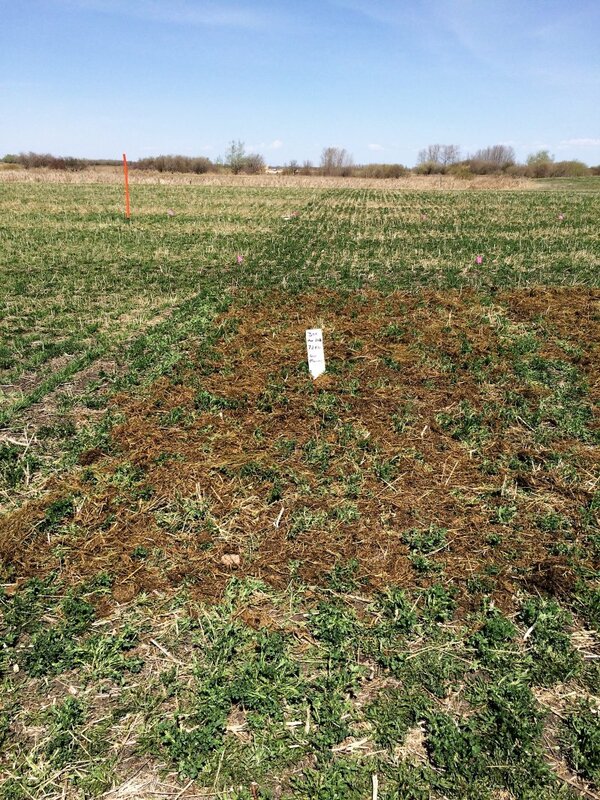 Plots with higher fertility levels of phosphous also had less alfalfa stems per square foot. While it seems counterintuitive to have less stems in more fertility, we found it to be consistently true in all of the phosphorus ramp plots in 2016. We will look for differences in stem count again in future years. As of July 2016 - Producers toured the plots at the McDonald's Production Day Tour hosted by MBFI.